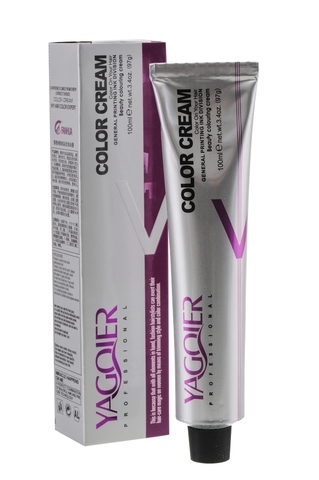 This botanical formulated color cream is a blend of Rose Hip, Rosemary Essence, Chlorophyll from Green Tea Tree, Pure Aloe Vera and various Nutrients. 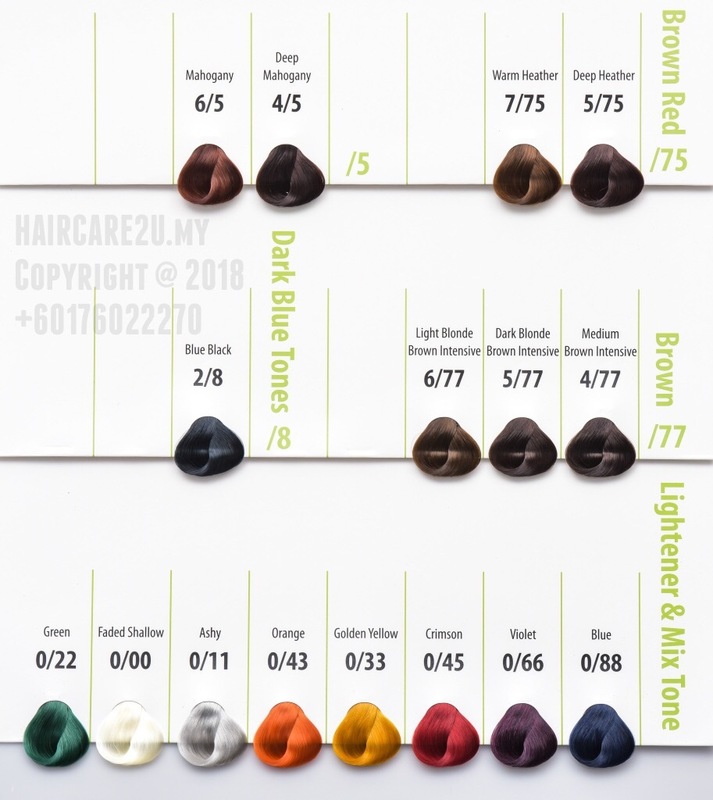 A complete hair coloring idea with care is adopted. 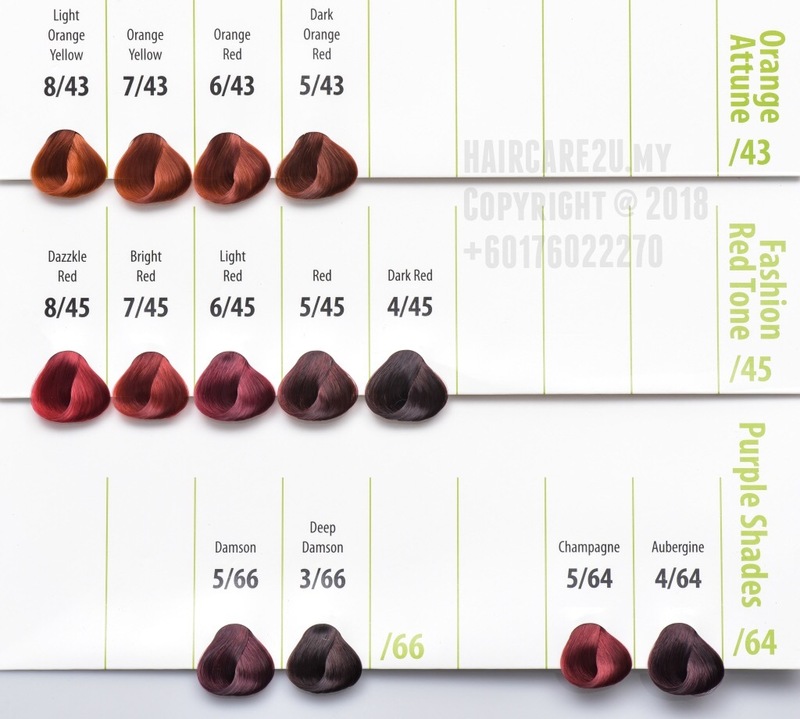 During coloring process, all conditioning nutrient can penetrate into hairstrand rapidly, and a protective layer is formed against color fading. Color shade will be last much longer and hair looks. This professional and therapeutic product range is designed based on natural biochemistry, and is derived from botanical essence of nature. 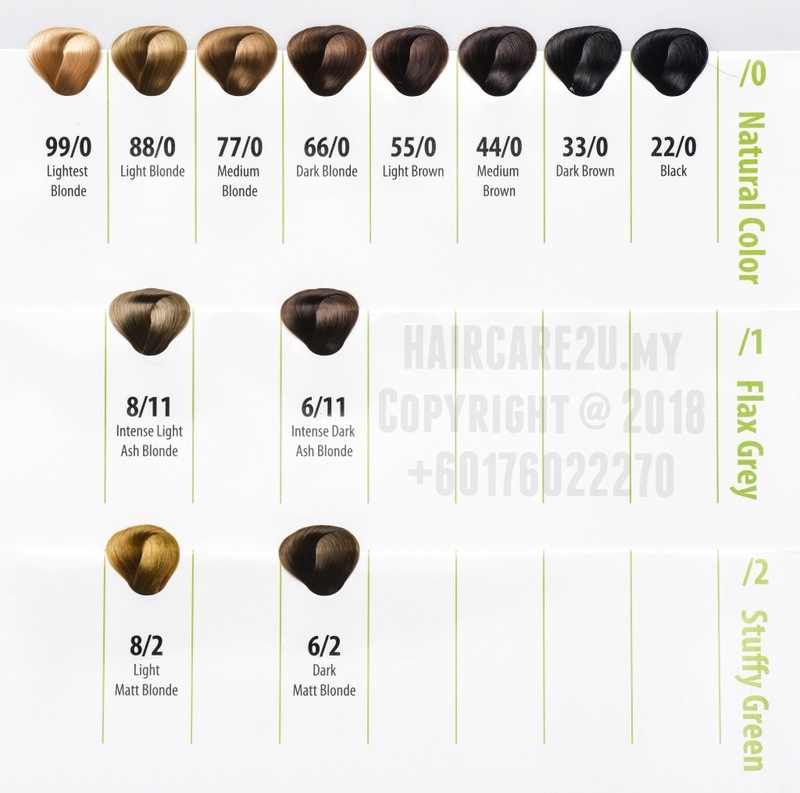 These ingredients consist of active amino-acids, fragrant botanical essence, twenty-one types of micro-elements, protein and numbers of vitamins. 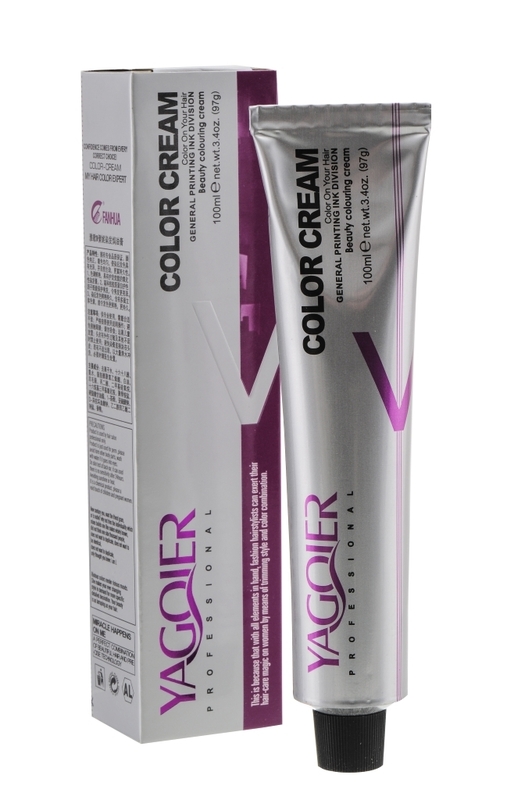 Based on bioecology of human hair, the total caring system replenishes nutrients into hair to repair damages intelligently. Life will be back to hair with energy and shine. 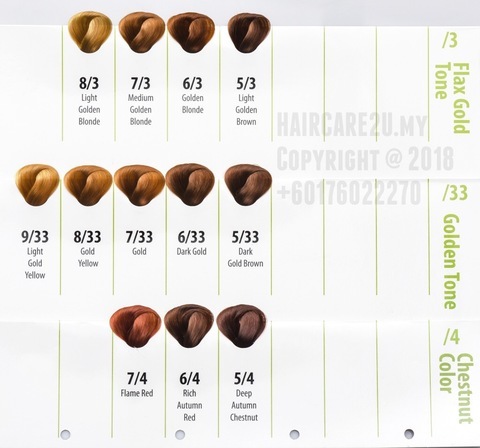 Hair Diagnosis: It takes shorter time of color processing for hair types of fine, with lighter shades or with damaged cuticle and it takes longer time of color processing for thick hair, with dark shades of health texture. Skin test: Before coloring, skin test behind ear or elbow is recommended to see whether allergy will occur. Processing steps and time: Mix the color with peroxide under the ratio 1:1, No need to shampoo before tinting. Wear gloves and gown. Section hair by section from hair crown. Start to tint from rear part of head.